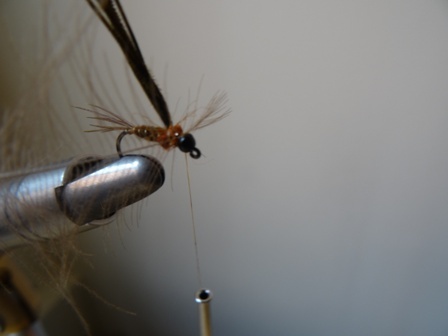 This is a modern version of Sawyers classic with a hotspot and CdC hackle to add movement. 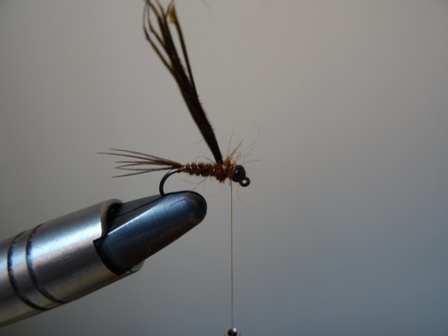 This is the most time consuming nymph I tie but is very popular. Materials: Orange thread, Peacock dubbing 10 Reddish (available here), a CdC feather (available here), pheasant tail, thin solid gold wire, size 16 Hends BL120 hook (available here), black 2mm tungsten bead (available here), Bug Off (UV cure resin), UV torch. 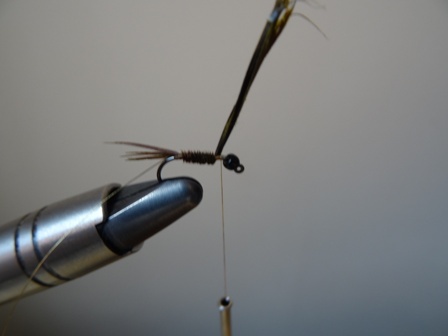 Add the bead to the hook, tie in the thread. 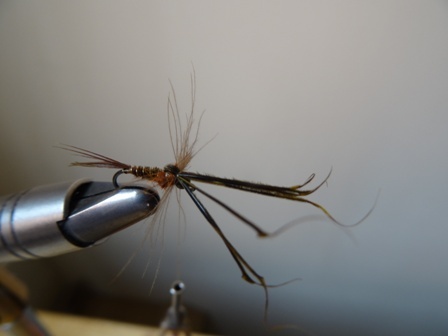 Tie in a section of gold wire and 5 fibres of pheasant tail with the tips left to represent the tail of the nymph. Take the thread forward to the thorax. 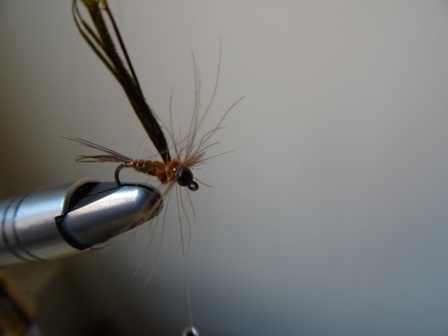 Wind the pheasant tail forward and tie of with the thread at the thorax. 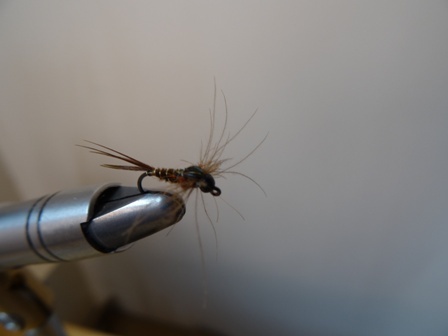 Wind the gold wire through the pheasant tail from the back. Tie off and trim the excess wire. 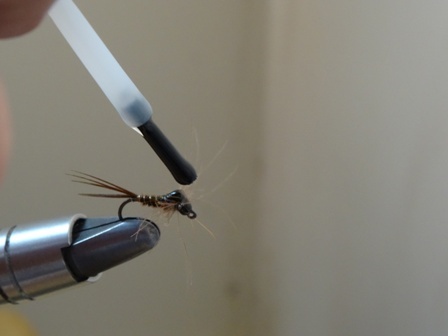 Dub on the peacock reddish dubbing for the thorax. 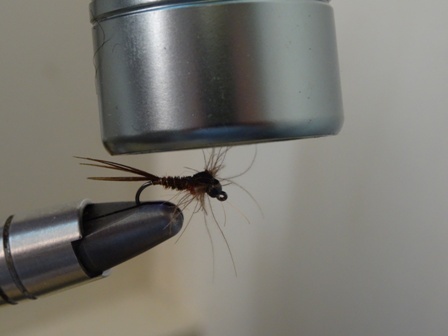 Dub on the thorax dubbing. 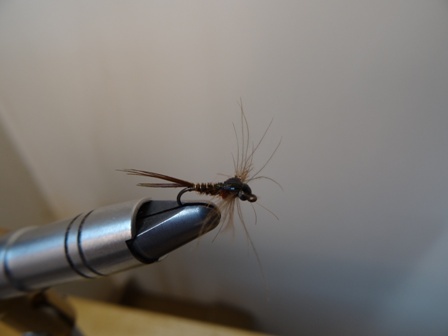 Tie in the CdC feather by the tips as shown. 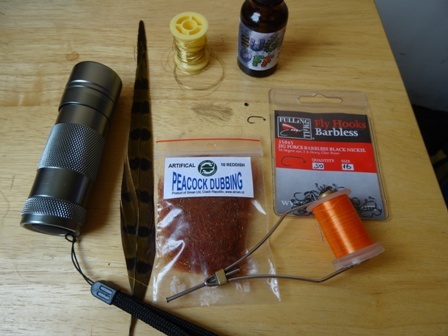 Make 2 turns with the CdC to form a hackle as shown. 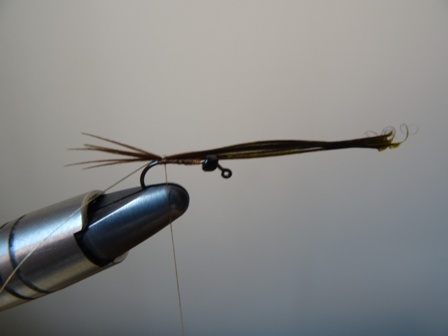 Bring forward the pheasant tail and tie off behind the bead to form the wing buds. 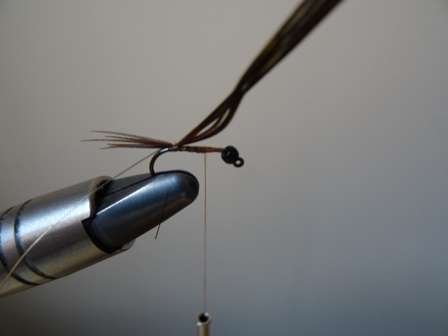 Take the pheasant tail back over the formed wing bud and tie off firmly with 3-4 turns. Trim the waste tips as close to the wing bud as possible. Tie off the thread behind the bead and trim. Add a coat of UV cure resin on the wing buds to re-enforce the nymph. Finally zap the UV cure for at least 45 seconds with a UV source and the nymph is finished. 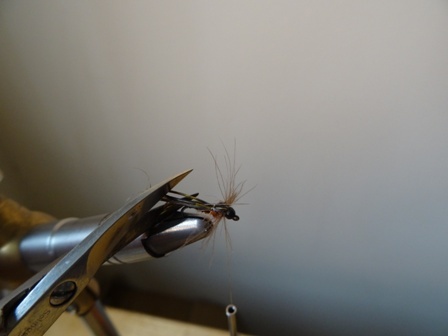 A great fly that catches many fish throughout the season. 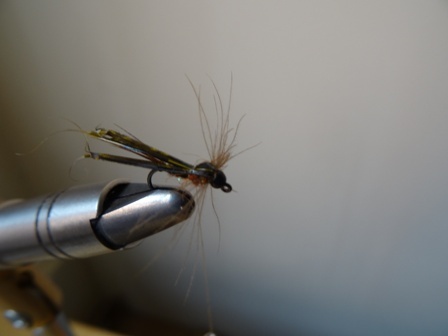 If you would like to purchase the materials for the fly please visit this page. 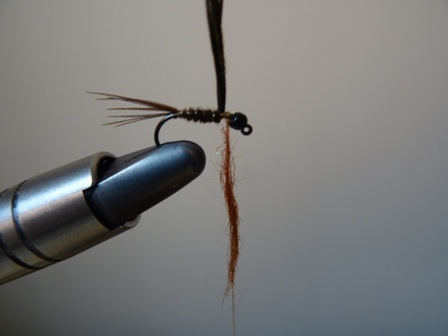 The Hotspot Pheasant Tail nymph is available from our Onstream-guide Products page.